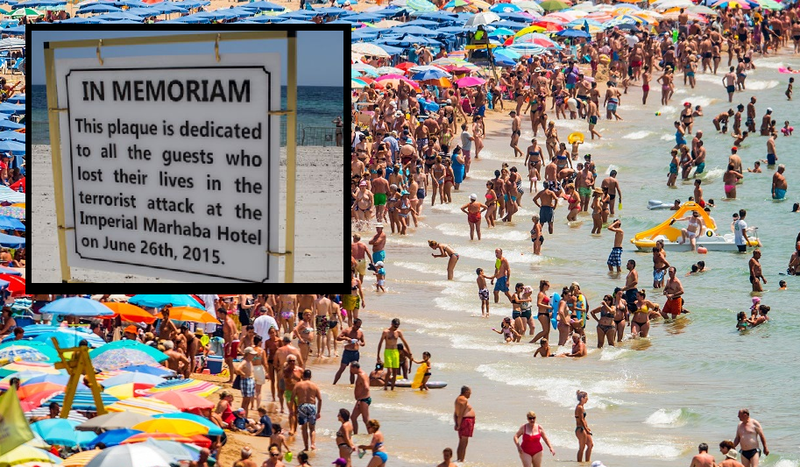 The British Intelligence Service MI5 has issued a report warning all UK tourists off to European beaches for the summer that there is a growing risk of female suicide bombers that would attack beachgoers in Spain, France, Cyprus and Italy. Spy chiefs back in London claim that Ms Samantha Lewthwaite, a converted British Islamic jihadist nicknamed ‘the white widow’ who hails from Aylesbury, Buckinghamshire, has recruited dozens of females to attack European beaches this summer. Worried UK agents say that they have obtained intelligence during raids in Syria and Iraq which shows that she was ordered to enroll dozens of women, including white converts to Islam like herself, to strike at several tourist hotspots across Europe. Targets are the Spanish Costas, islands in Greece, the Spanish Canary Islands off the coast of West Africa and the island of Cyprus. Also several beach resorts in the UK are said to be on the list. British intelligence services have obtained the shocking details from encrypted emails, phone calls and via cooperation with other foreign organizations. Ms Lewthwaite is believed to have been responsible for planning dozens of suicide attacks all across the Middle East during the Syrian civil war. The originally British mother of four could have recruited up to 30 female terrorists, whom intelligence services fear been taught how to build suicide vests and choose their own targets as ‘lone wolves’. ISIS already targeted Tunisian and Egyptian beach resorts during 2013-2017. As a result, the tourism industry has taken serious hits in those areas. August 2018 saw an attack on Barcelona, Spain, where a suicide terrorist (originally from Morocco) drove a van into a crowd at the Ramblas pedestrian area. July 2016 saw an attack on Nice, France, where a suicide terrorist (originally from Tunisia) drove a truck into crowds of parents with children who had gone to watch the 14 July fireworks. And thus us what the Demented Liberal DemonRats in Washington want for Our Country!!!!! They Don't give a Shiite about the American People, they want to Infest Our Country with 3rd World Savages!!!! Time to Vote these Rat Bastards Out of Office!!!!! If Not then We can expect these types of attacks at Our Beaches!!! !